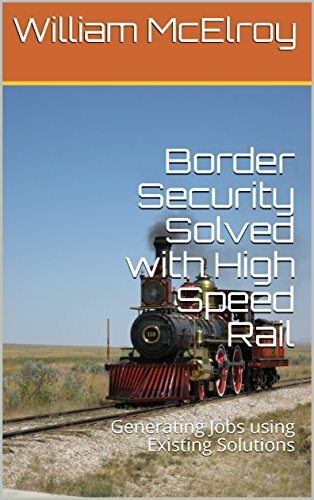 The BorderTransportationSystem should follow the Rio Grande River that is the border between the U.S.A. and Mexico, but when the river enters the Big Bend National Park it opens up to some of the beauty of the Americas, and to build the system right on the river would block the views, as well as prevent all the water sports that use this section of the river. Therefore, the BorderTransportationSystem route should follow the existing more northern roads, Park Route #12, Gano Spring road, Panther Junction Road, and State # 170. "Subdivisions occurring over large land areas north and west of the park, especially along State Highways 118 and 170 and an adjacent county road, have greatly intensified land use near the park. The Terlingua Ranch, joining the park's northwest boundary, consists of 120,000 acres of former ranch land that are being developed into 20 to 40 acre "ranchettes." A resort community exists at Lajitas, immediately adjacent to the western boundary of the park. Condominiums, single-family residences, approximately 60 motel units, and a 9-hole golf course have been developed in that area." "Land use on the Mexican side of the Rio Grande consists primarily of ranching, small-scale farming, and the limited mining of silver and fluorospar. There are also three minor, low-water border crossings in the park: Boquillas, San Vicente, and Santa Elena."